Gabby's a sports bar/restaurant chain based in Toronto with a strong focus on great quality, high value, mainstream casual food. 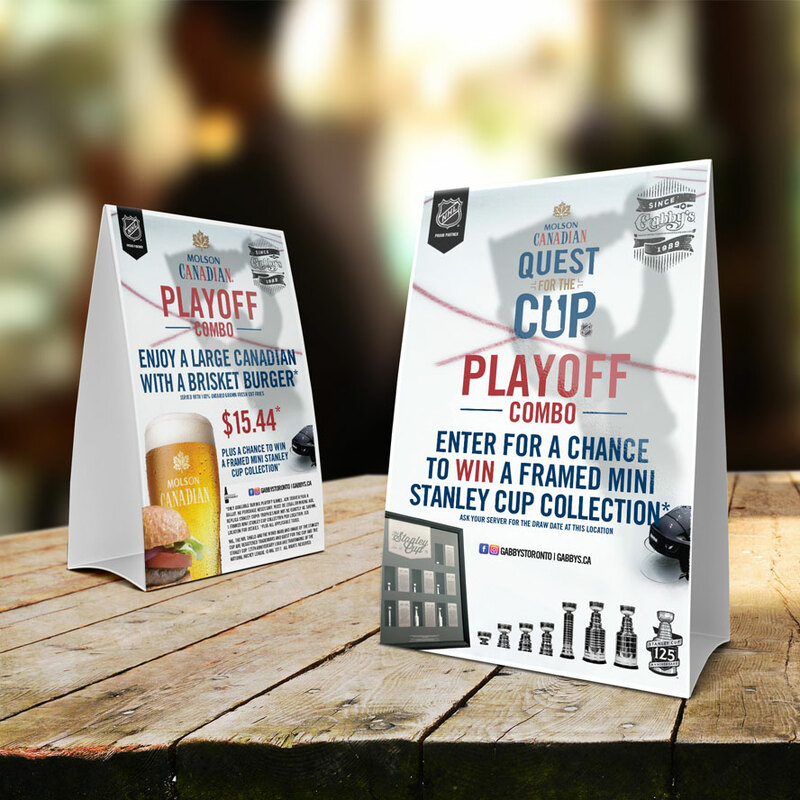 NHD started working with Gabby's in April 2017 helping design the NHL Playoff Tent Cards. We have designed a few more items which we will update when the projects go live! Stay tuned!